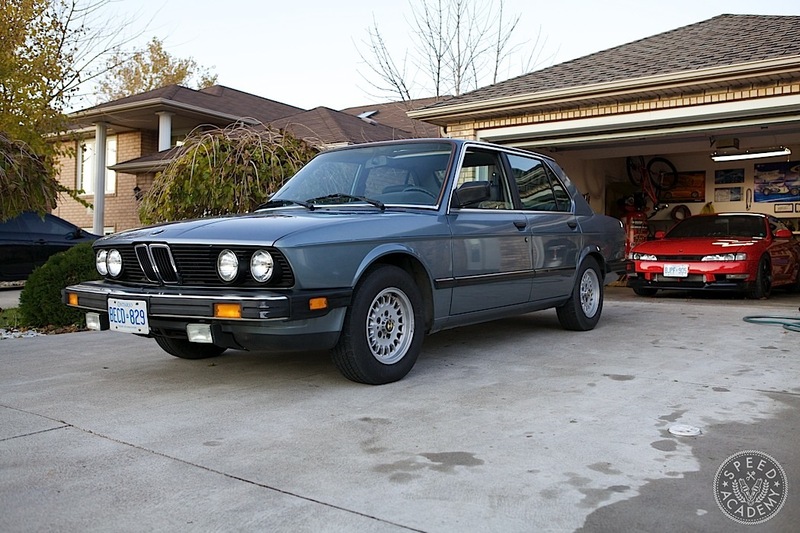 Believe it or not but this 1987 BMW 528e, more commonly known as an e28 (it’s chassis code), was purchased for a specific duty – to serve as my winter beater. I know what you’re thinking, what fool buy an old RWD BMW as a winter car. We all know that FWD or AWD Japanese cars are the best bang for the buck for snow duty. Thing is, I’ve been there and done that. I owned a lot of Honda Civic’s, Accords, even first-gen Eagle Talons that were great in the winter. This time around I wanted something a bit different, I was searching the classifieds for an older Audi quattro but every 90’s era car I looked at was a rusted pile thanks largely to the very generous winter salting habits here in Toronto, Ontario. 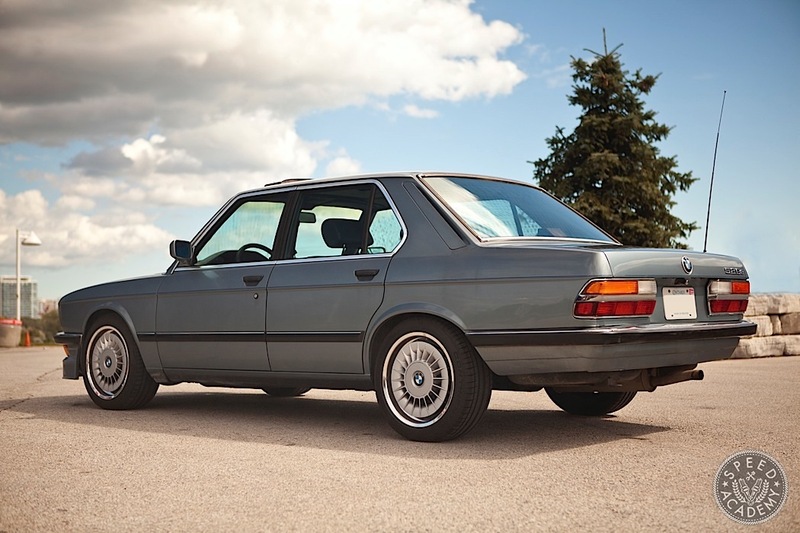 However, when I stumbled upon the ad for this e28 it said spotless, rust-free, US-import. If you’ve ever lived in the rust belt you know rust free never means no rust. It’s a way of saying that the car is in better shape than 90% of the other models on the road. It still bugs me that people say rust-free when the cars have some sort of rotting going on. 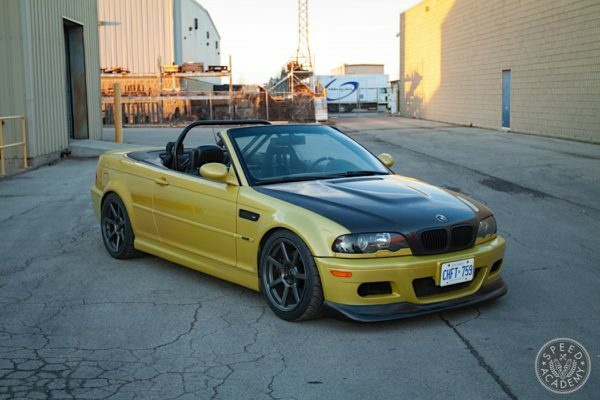 If this BMW was as good as the ad described there was no time to waste, I needed to go look at it. I had a problem though, I was living 4 hours away from where it was located. Luckily, Mr. Pratte was a cool 20-minute drive from the shop that was selling it so he went and inspected it. Turns out it was in decent shape and after some back and forth, we agreed on a price and the car was mine. Amazingly, the interior of this whip was in pretty awesome shape. I’ve grown to love the blue color but have since parted ways with the school bus sized wheel since it really felt like I was driving a boat. 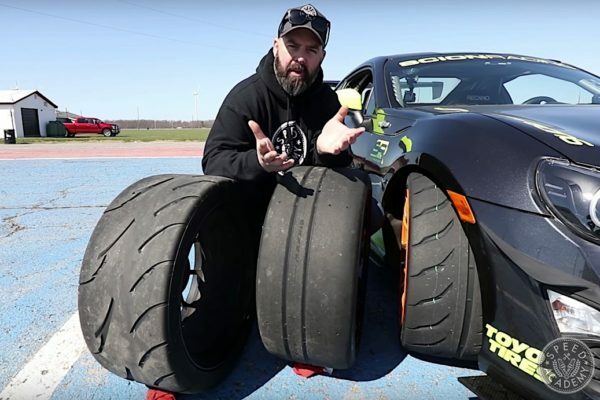 Here’s a bit of a funny story about the wheel. 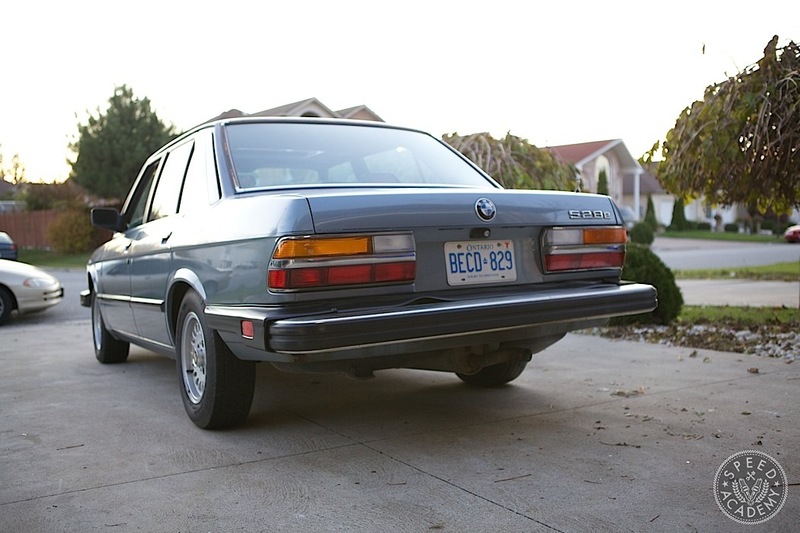 This is my first somewhat old BMW and I was perplexed as to why ze Germans didn’t build in a tilt function? The steering wheel telescopes but the angle is a bit horizontal for my liking since I grew up driving Japanese and American cars which, all had the tilt option. 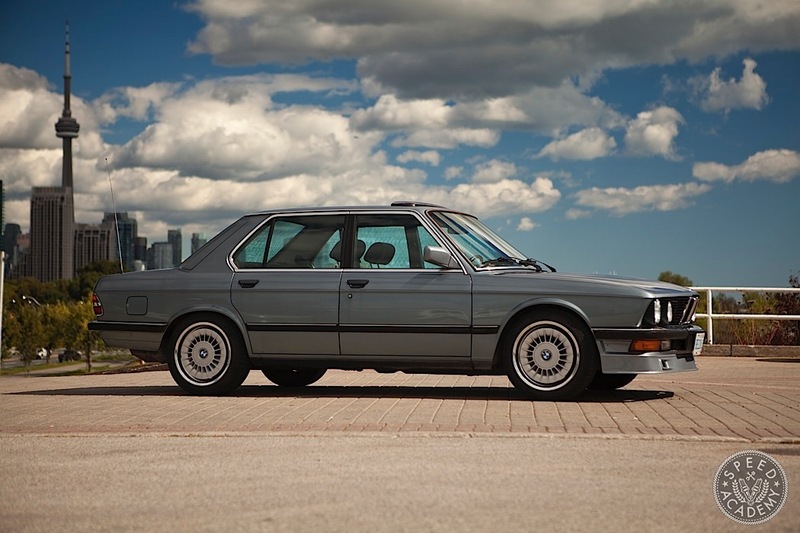 Like a complete noob, I post on an e28 specific forum and ask why BMW didn’t add this option to these cars when so many of that era had it. Big mistake, the site veterans defends BMW and maintain it is best without it. 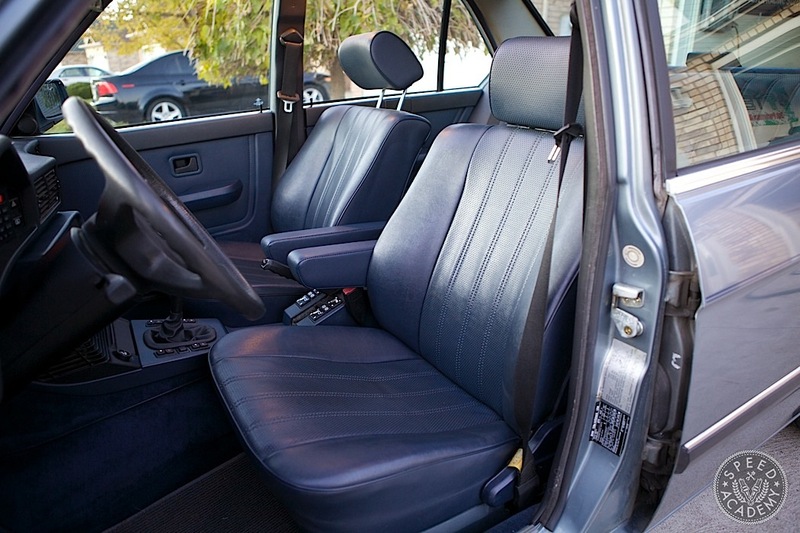 “It was built at the optimal angle, there’s no need for adjustment” or my favorite one “You’re seat is reclined too far back, this isn’t a low rider”. 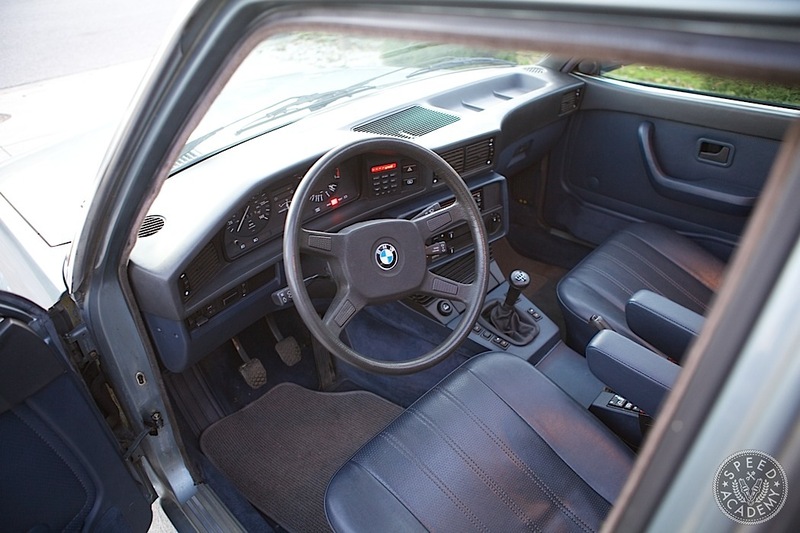 Needless to say, I quickly learned that owners of these and other finely aged BMWs are very protective and live by the ‘Germans built it best’ ethos. 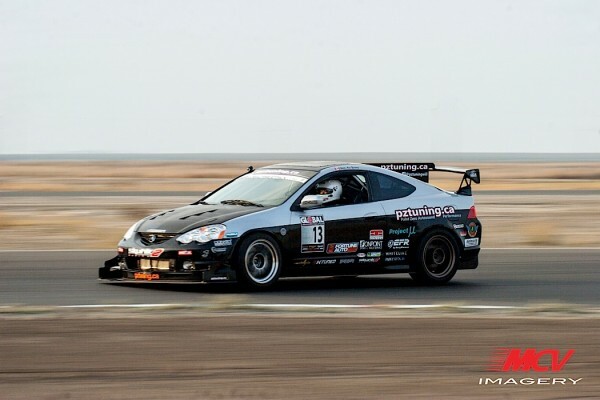 The engine in this mighty beast is a 2.7L inline 6-cylinder that turns out a whopping 121hp and 171ft-lbs of torque. It revs to a whopping 5000rpm redline so it’s a slow and steady type of driving style. Actually, it’s not that bad. 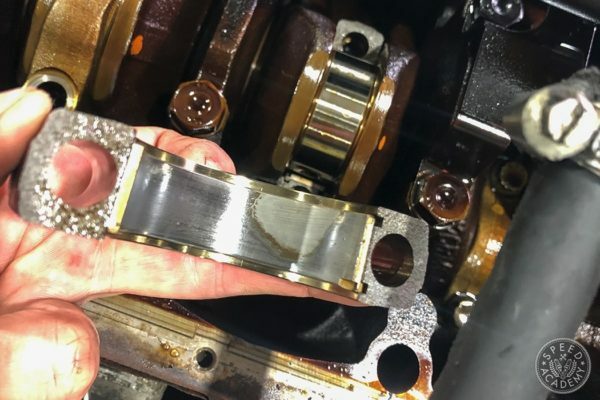 I’ve put in a different rear differential from a 535i e28 into it since it’s a limited slip unit and found out that the final drive is a bit shorter so it’s added some pep into the car. Another upside of this engine is that it gets great gas mileage. To the tune of 30-35mpg on the highway and mid to high 20’s in the city depending on how I drive it. What you see above is what the car looked like when I purchased it. I couldn’t stand hideous US bumpers and decided that I’d just upgrade to European ones since that would really help with the look of the car. Just one mod right? You always tell yourself you’ll leave everything else stock since it’s a daily driver. As you can tell by the photos, I’ve lost the battle. I’ve actually lowered the front a bit more and replaced the turbine wheels with some Alpinas from the era. 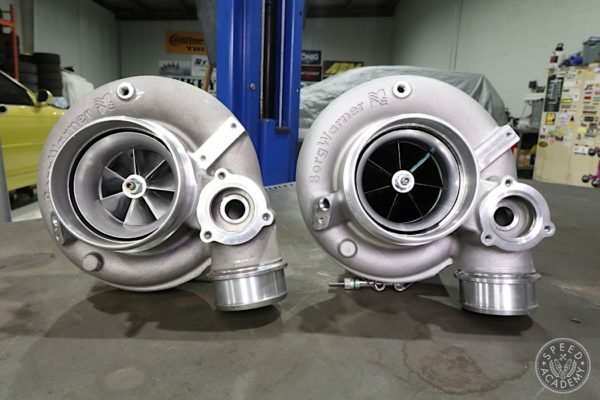 I’ll get updated pictures soon but before then I’ll post some stories and how-to’s on upgrading certain parts on the e28. 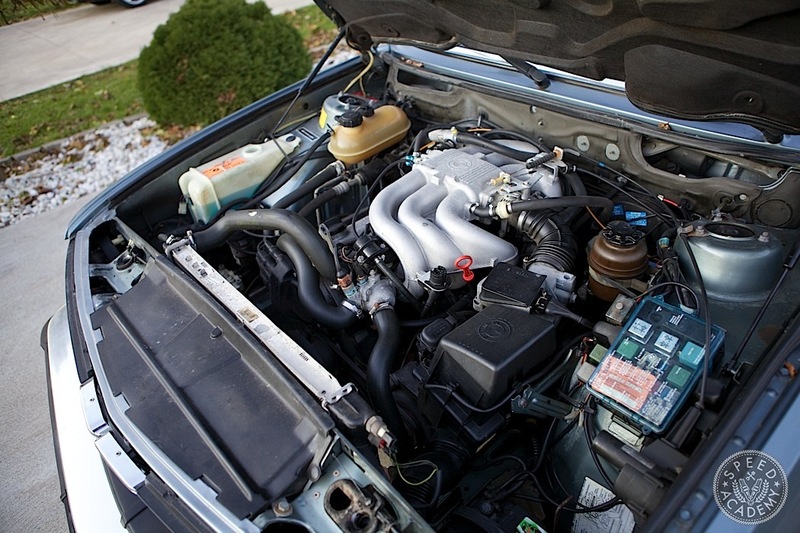 The engine remains stock and that to me is the key to keeping a reliable daily driver. Don’t mess with the drivetrain! I’ll finish this intro by saying that I drive this car everyday and so far it’s been nothing but super reliable and absolutely a blast to drive (even if its slow). It is a very capable winter ride and has plowed through many deep snow falls without fail. It also makes for a fun snow drift machine thanks to the LSD. In the summer time, its got AC (although the blower is noisey so I don’t run it much) and a very analog driving feel to it. I suppose that’s what I enjoy so much, even if the steering wheel doesn’t tilt. 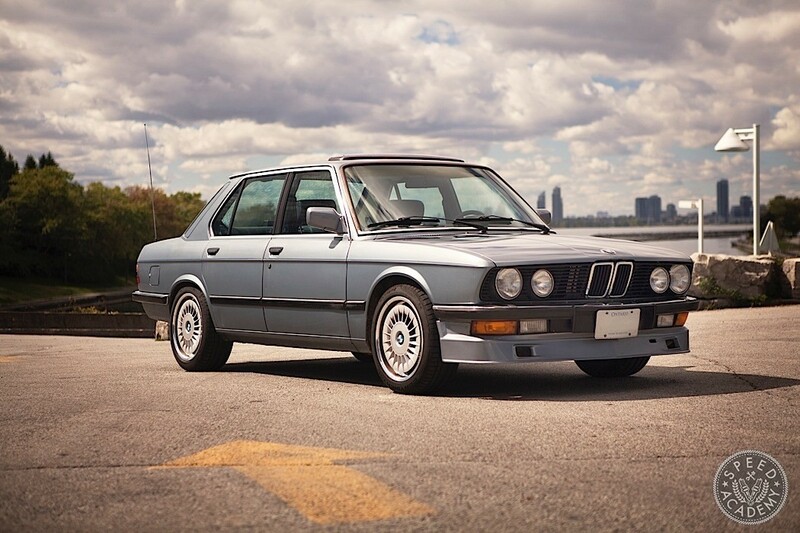 This BMW is from an era before the Germans got crazy with technology. There aren’t miles and miles of wires connected to a million computers and that’s what makes it easy to fix and maintain. 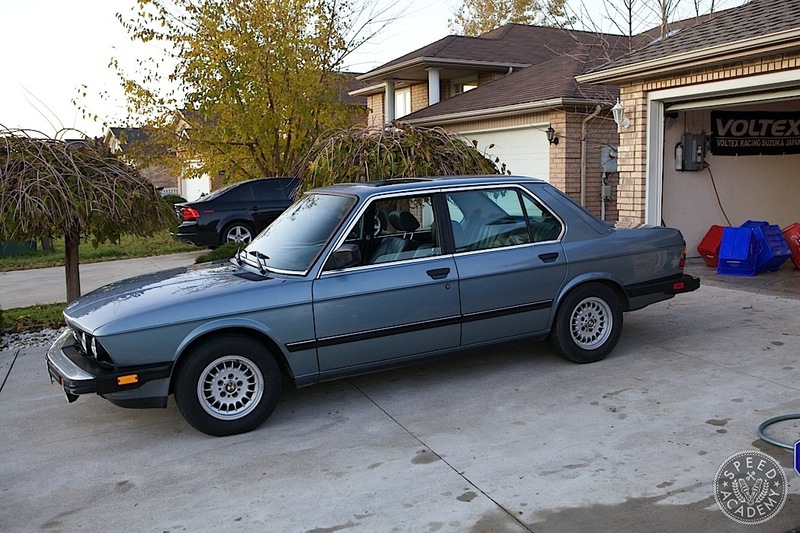 With 202,000 miles (over 300,000 KM) on the odometer, I hope my e28 still has lots of life left in it.